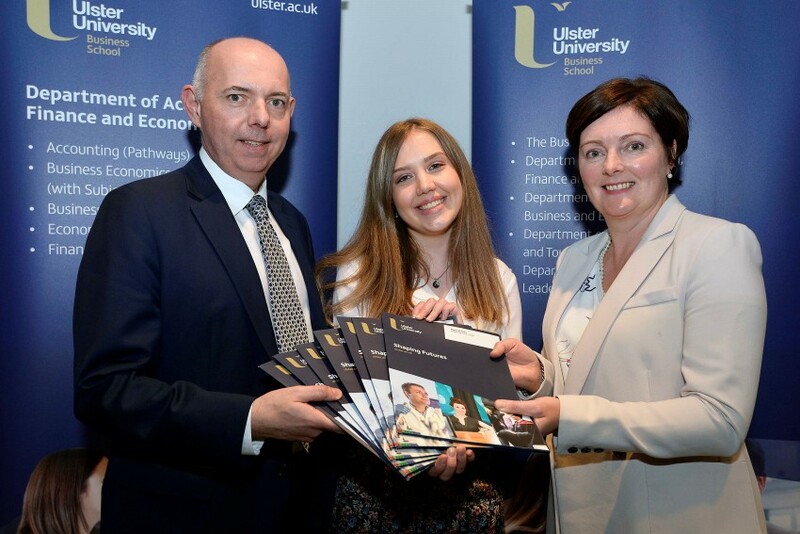 Megan McNeilly, a former pupil at Ballyclare Secondary School, has swept the board at the annual Ulster University Business School’s student awards event organised by the Department of Accounting, Finance and Economics. Megan, who is currently on placement with KPMG as the third year of a BSc Accounting Degree, won an unprecedented seven awards for excellent academic achievement. Her awards included the Baker Tilly Mooney Moore Award for being the highest performing student in Financial Accounting; the KPMG Award for being the highest performing student in year two; the Abacus Recruitment award for achieving the highest marks in the Career Entrepreneurship module; the CIMA Excellence Award for being the highest performing student in Management Accounting; the BDO Award for being the highest performing student in Mock Interviews; the Deloitte Assurance and Risk Management Award; and the KPMG Internship Award. A total of 25 sponsored awards were presented. Sponsors included Henry Murray and Co, EY, Baker Tilly Mooney Moore, PwC, CIMA, BDO, Deloitte, Grant Thornton, KPMG, ASM, Oxford Economics, HSBC, Marsh Ltd, First Trust Bank, FinTru, Chartered Accountants Ireland and Ulster Society, and Citi Group.